So, I know Measure Twice, Cut Once is the sensible way to do things, and that was our mantra when my husband and I laid Pergo flooring, but…………………….sometimes I go more along the lines of Wing It, Cut Once, Swear Many Times, Cut Again! I am trying to do more second-hand shopping, but hadn’t found anything suitably fitted in good condition….so I ended up buying one at Target. (If it’s an excuse, I was killing time waiting for a prescription for my very sick husband). It was on clearance for $6.88, so not too much of an investment if it doesn’t turn out as planned (like that’s ever happened, eh?). I probably should have waited until the weekend to work on it, but I started hacking into it late on a Wednesday night. It was too tricky to unpick the sleeve head – the stitching was tiny. So, out came the scissors. I didn’t measure how much to open up the seam, and I didn’t pull up the photo on Creating Laura (oh dear, here’s the Wing It/Cut It part of the operation). I overlocked the sleeves and armholes together again, and stitched the ribbed cuffs back on inside out so I could wear them folded them up. Once again, an unplanned result, but at no great expense! 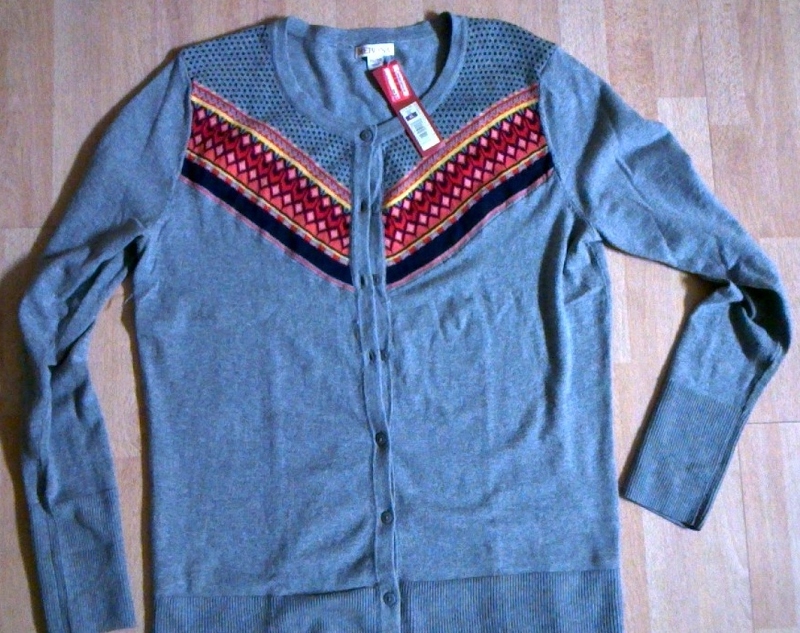 Posted in Uncategorized and tagged bow detail, bow sleeve, cardigan refashion. Bookmark the permalink.